Founder: Roderick and Amanda Lovan. 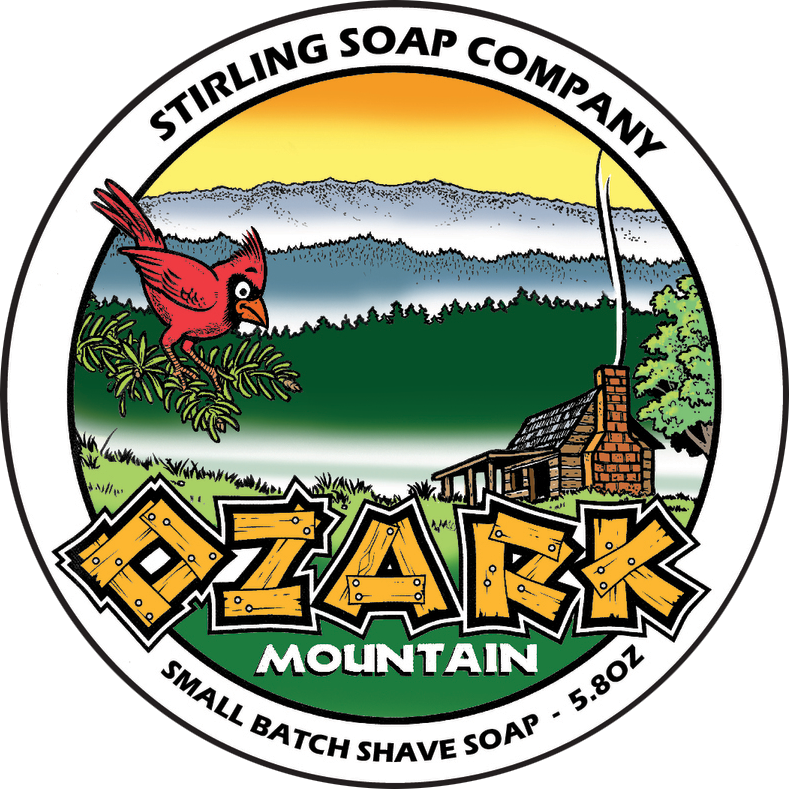 Website - Stirling Soap Co.
My first encounter with Stirling Soap Co. came in the form of a bar soap sample called Pig Trial. I fell in love with the scent right on the spot. Since then I’ve purchased a few more soaps but none that came close to that one scent. 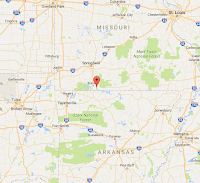 Then I found Ozark Mountain. Oh man this is it!! I fell in love all over again. 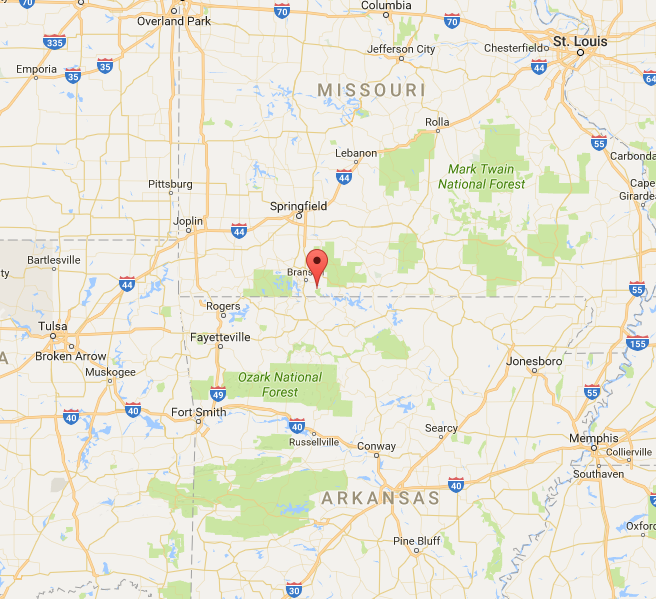 I can say with some certainty that both the Ozark Mountain and Pig Trail must be the same scent or very close to each other. 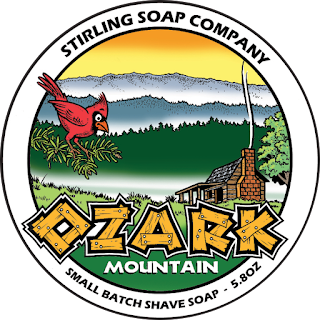 The only difference being that Ozark Mountain is for shaving. Since I only have the sample size I can’t really talk about it’s packaging but I can say this. The rebranding and transformation of the line that was done awhile back was a total success and gave a needed boost to product awareness. The scent is perfect for me and if driving in the Ozark Mountains smells like this then let me sell my house because I’m moving. This scent is described as woodsy and spicy but you MUST try this one for yourself because it’s hard for me to put in words what I’m experiencing it’s such a wonderful scent. I feel we have many things going on here which I can’t point out. I know I’m gushing but it’s that good. A word on the ingredients, this is a tallow based soap so you vegans please take note. Here is the complete list: Beef Tallow, Stearic Acid, Distilled Water, Castor Oil, Potassium Hydroxide, Vegetable Glycerin, Fragrance Oil, Almond Oil, Shea Butter, Coconut Milk, Lanolin, Sodium Hydroxide, Sodium Lactate. This is not a hard soap so placing into the lathering bowl posed no issues. With just a brush full of warm water I was able to create an amazing amount of creamy rich lather that really got into my 5-day old beard. The slickness and glide are tops with this soap allowing me to go over trouble spots with little effort. The post shave feel was one for the books as well. Although when the shave was over I did notice some lingering scent but wanted more. This is why I’m recommending the after shave to continue the scent goodness.